Michael Coote on the emerging lifelong tenant society of NZ created by policies that support residential property investors and drive away our best and brightest. Renewed interest in investing in residential rental properties has captured recent headlines and even incited approving comment in Parliament from Finance Minister Bill English. From the government’s point of view, increased private investment in residential rental properties might alleviate some pressing issues in terms of lack of housing affordability for lower income earners, the cost of providing state housing at a time of fiscal austerity, and revival of much-needed employment in the moribund residential construction industry. However, this welcome mat thrown into the path of residential rental property investors must be squared against the government’s previous measures implemented to abolish the building depreciation tax break on properties with an estimated useful life of 50 years or more, which basically meant all residential rental properties. That decision, announced in Budget 2010 and effective from 1 April 2011, was supposed to generate many allegedly excellent results, including eliminating a “tax preference to owning property” and stimulating alternative forms of “productive investment in the economy”. In other words, fewer people should have been tempted to become property investors and landlords, investing instead in, say, the share market. (There was a related anti-property investment provision of the time that did away with the tax benefits of loss-attributing qualifying companies (LAQCs), which had been popular as vehicles for owning residential rental properties due to their advantageous tax-streaming abilities). In fine, residential rental property owners supposedly greedily sucking on the taxpayer’s teat were rudely weaned from that source of financial sustenance in losing a tax break that most likely moderated the rents they charged their tenants. The National Party minority government, led by such securely established smile-and-wave millionaires as John Key and Bill English, among others, looked forward to the building depreciation tax break’s abolition raking in additional taxes of NZ$685 million in 2011/12, rising to NZ$690 million in 2013/14. Of course, landlords cut off from this tax break were logically likely to pass the cost on to their tenants, who presumably were collectively docked the extra hundreds of millions of dollars per year from their constrained household budgets for the privilege of living in rented premises. Thus while we are told that battening down the hatches, cutting household consumption, and paying back debt collectively explain the anaemic state of our economy, it is quite likely that a boost of NZ$690 million per annum in taxes imposed on landlords, with consequent clawback effects on tenants, has contributed significantly to muted domestic demand and depressed economic growth. The depreciation abolition rent increase would have helped intensify the problem of housing affordability, making it ever less likely that many younger New Zealanders on lower incomes could hope to save up enough towards a deposit on their first home. Some serious research is called for with respect to the real effects of this tax policy on society and the economy. Add to building depreciation abolition the impact on occupier home ownership of demographic trends as described by Shamubeel Eaqub, principal economist of the Institute of Economic Research. Eaqub recently warned in the National Business Review of “demographic hollowing out” occurring as the under-40s population of New Zealand steadily shrinks due to emigration to other more remunerative countries such as Australia. These younger people leaving represent not only the choicest part of our exportable labour force, but also most probably will become home buyers in their country of settlement. Their departure increases the relative proportion in our society of the non-exportable under-40s. Many of these people left behind are not ever likely to become even first home buyers, particularly New Zealand’s uneducated, unemployable, welfarized and criminalized feral class that is of no use to society and rightly not welcome anywhere else in the world. A nation of homeowners? Yeah right! The standard assumption that New Zealand is a nation of home owners must be reassessed. It is much more likely that occupier home ownership will decrease and that in its place residential rental property will become much more significant within the total housing stock. Thus even with the abolition of building depreciation (and LAQC tax benefits), there still does remain a case for residential rental property investment, particularly with mortgage rates on offer so low and interest rates predicted to remain depressed for quite some years ahead. A landlord who maintains tight cost control on a residential rental property could do well out of the emerging lifelong tenant society our country is producing. *Michael Coote is a freelance financial journalist whose publication list includes interest.co.nz, the National Business Review, New Zealand Investor, The Press, and the New Zealand Centre for Political Research. while we still have no capital gains tax;rent subsidies and working for families investment in rental housing is the most lucrative investment you can make. If you have no concience sure. The National Party minority government, led by such securely established smile-and-wave millionaires as John Key and Bill English, among others, looked forward to the building depreciation tax break’s abolition raking in additional taxes of $685 million in 2011/12, rising to $690 million in 2013/14. How else to pay aspiring landlords approved by the government? NZ will basically be a retirement country in 30 years, all good for property though right! Haha I can't wait to settle in Australia. Michael - fair enough, however can you suggest any solutions that will not be thwarted by lobbying from the approx. 5% of the population engaged in PI; land-bankers, farmers, bankers, influential (vested) civil servants and individuals in MSM, and the approx. 60% of parliamentarians with similar interests? Best to call "radio redneck republican" for your best audience, Coote. "(There was a related anti-property investment provision of the time that did away with the tax benefits of loss-attributing qualifying companies (LAQCs),"
The LAQC rules may have been changed but in no way does it do away with the tax benefits. That rort continues just with additional costs to the PI which will most likely be passed on to the tenant as well. Michael Coote is often quite sensible and the piece he wrote about preparation for exit from the Euro was on the money. This piece on the other handis completely incoherent. He seems to be saying that the moves the Government took to make residential property investment less attractive have adversely affected tenants. Of course it has as investors looking for tax breaks quit their portfolios as the cash flow no longer made sense. Less property for rent, higher rents. Presumably lower house prices as more property for sale. That should advantage home buyers. He is also saying that Government policies in some way advantage property investment and thus dscourage home buyers. What is happening is that it now makes sense to own a rental property with no debt as opposed to money in the bank. A three or four % yield probably hedged against inflation is the best thing out there in many peoples minds. These are long term investors invested for income not speculators looking for a tax break. The only other thing the Government could do is introduce a capital gains tax but that will just make renters worse off again. "The only other thing the Government could do..." There's lots of things the government could do to make housing cheaper. Stopping the Councils using RMA to make property expensive is an obvious one. GST is another. Making housing cheaper by increasing taxes on it to make it more expensive so that people can't afford it so it becomes cheaper is only one of many options. You are quite right. In the end the only solution to the problem is to increase supply at reasonable cost. Olly Newland's recent piece on the costs heaped on house construction was very instructive. I put something up a few weeks ago in response to one of Bernard's theses around money printing that suggested the Reserve bank lend HNZ 2 Billion dollars to build mabe 15,000 rental units. It still seems to me like it might have merit. I know we have some overseas interest in Auckland property but it cant be of this scale can it? If it was we could just build thousands of houses , sell them to foreigners and solve all our unemployment, current account and fiscal problems in one fell swoop. Thanks - an example of yet another option the government has to control prices other than simply increasing tax. Control rules around japanese grandmothers with zillion yen suitcases investing in NZ property. Leasehold only for non citizens would be a first step - even third world countries often have this control. Should read "Japanese Housewives" rather than "Japanese Grandmothers"
Exactly Bob. You will have read the article the other day by BH about the Japanese Realtor seeking New Zealand Property. With that going on, the simple test is the one I gave above. If you have a young kiwi couple with a deposit of $30,000 competing at the same time against foreign investors with cash, how many houses do you have to build before the "young kiwi couple" get a look in? And .. because they are "cash" investors they are also pushing Auckland Property prices up against all locals, whether investment or residential. As home ownership rate didn't reach 50% until 1936 NZ societal standards must have been pretty low back in the 'good old days'. 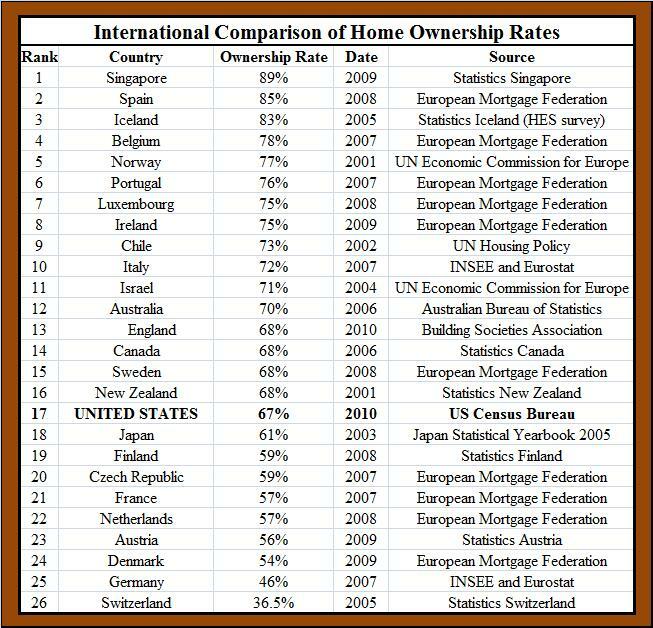 Countries with a high home ownership rate and 'decent' society standards include Bulgaria, Palestine, Spain, Italy, Ireland. Countries with low societal standards and low home ownership rates include Germany, Denmark, Sweden, Nederlands, Austria, Switzerland. Sorry, not convinced, I'll go by NZ. What you quoted was countries that either do or don't have internal strife. I have lived through the time of high home ownership to now and I can tell you now that I have no doubts about what was better. We know exactly what the problems and solutions are - but dont have the political ability in place to deal with these issues effectively. No we don't. There is the issue of infrastructure financing (for starters). Your a little vague on the Houston MUD thing but (esentially) they suceed when more people move into a development or those who can't afford don't get them. "criminalised feral class of no use to society..." Who is Michael talking about? Merchant bankers, politicians, property investors, journalists, or someone else? Yes, someone else. Malthusians, and those who vote Labour. The "enviro blathering human haters"? Property Investors, who else? Of course they, as a class in general, have no sense of humour. And on a serious note, rents are determined by supply and demand, not the landlord's cost or tax structure. "Renewed interest in investing in residential rental properties has captured recent headlines and even incited approving comment in Parliament from Finance Minister Bill English. In other words, fewer people should have been tempted to become property investors and landlords, investing instead in, say, the share market." In other words, tax policy has no effect on influencing investment decisions in residential properties, the price of residential property, or in diverting investment monies into other asset classes. Try getting that one through the thick skulls of those who advocate a CGT, like those in the Labour party, and elsewhere, then! If it has been said once, it has been said a thousand times. A CGT does not prevent and/or stop a property bubble from forming, and for those who advocate for one to achieve that, you are simply wasting your and everybody else’s time. Wotcha opinion of the " land tax " , DB .... instead of the CGT ? Equally dim, Gummy, probably even moreso. Most homeowners don't rent their properties out, yet for it to have any effect it would need to apply to all private property. It would be just like Rates and all the problems associated with it, but writ large! And how would you fund local govt? The landtax ( levied on the price of the bareland , not the improvements ) would be easier to administer , cheaper to run , and immediately effective . Even during recessions , the cashflow to the government would be fairly steady . It;s the second chart on the page that is a real laugh. +1 on that second chart kate, I almost fell out of my chair laughing... what planet are they on? With costs of caring for the aged (even if the age of super was raised) and health care rising inevitably as the population gets older, the indulgence of choosing to only tax certain income classes etc must become untenable. It is just a matter of time, only postponed by the shrieks of horror and pain by those who would be affected (check the posts on this site). There are also, as you say, the equity issues. Why should some of the best-off in society be immune from tax for their chunkiest income gain? And why tax actively gained income but not passively gained income? Virtually every other OECD country does, even the tax-hating Yanks. These looks plain crazy to me, hence a CGT seems the fix for it....it would also discourage "uneeded" debt ie debt taken on purely for tax evasion purposes which is a risk. Then there is the issue of foreign ownership, they can hold sections of land but pay little tax...the Q is why do we allow that? Land tax would seem to be cheap to collect and a broadening system so less ppl dodge it. Howeer I think it should be on all land, to compensate drop (say) PAYE/corporate tax such that its neutral for single dwelling owners. You can always find the land, It does not matter who owns it or what sort of financial structure it is within all it has to do is pay its tax- does not have to be much, but has to be enough to take pressure off people who actually make money and make transactions. But what about those people whose land doesn't produce any income, like most homeowners? Where do they get the money from to pay the tax, more so if you are a superannuatant or have a big mortgage to pay? And what would this tax do to Rate bills? I'm not at all convinced. The two options are not on your home, or 2 reduce tax elsewhere eg on GST or PAYE and corporate tax to balance it out as neutral...for those that pay now. ..... so trade off the introduction of the land-tax ( levied on land , not on improvements ) with a generous cut to personal income tax , and an alignment of the company tax rate with the top personal tax level . Taxation policy has some effect on investor behaviour but property is not a particularly liquid asset so there is a lag. Why shouldn't income be taxed equally regardless of how it is earned? It is owners of capital who seem to have the greatest aversion to a CGT. Because this is no USA, UK or even Australia and our capital markets are not big enough. There are very few in this country who make their 'income' through capital gains. And by the way, those that do already pay a CGT. "those that do already pay a CGT"
Waaaa??? Where on earth did you get that from? I have yet to see a landlord or farmer selling property having to pay a GCT. If you buy and sell property as your source of income you are taxed on any profits. Hence your captial gain is taxed. Oh well, so why do people on this site hate the prospect of a CGT, if it is already in place! The reality is it only affects a tiny proportion of those who would be affected by one. Key has used this "of course we already have a CGT in place, so don't need to change anything" argument. I wonder if anyone has ever compared the tax gained from our so-called "CGT" in NZ compared with another OECD country (pick any you like, since they all have one). I'm sure the result would be instructive. Becuase it's not a CGT tax, for the vast majority of people who would end up paying it it would amount to nothing more than a windfall tax. And another name for that is an envy tax. The American's tax windfalls. Should we also start levelling tax on all Lotto winnners as well, just becuase everybody else does it? What is with this obsession in NZ that we can only tax income that is actively earned, never that that is passively earned? It seems amazingly counter-intuitive. Yet seems to be a national obsession. Tax effort, reward passivity. What a way to run a country! Thank you, Sk, you are of course correct. That is NZ tax law. Same on those who buy and sell shares for a living. They are taxed on any capital gains they make. He is incorrect. It's not a capital gains tax. Anyone is taxed on the profit from trading - it's called income tax. There is a big difference. and I wonder how many farmers actually pay any....and I wouldnt be surprised if many PIs dont either....which if its not buying and selling just for capital gains is fair enough...btw. If the value of land was taxed, the rich would pay more, but people on low incomes who have property would be the hardest hit. Superannuitants living in the wealthiest eastern and northern suburbs of Auckland and others on low incomes would be particularly affected as they would not necessarily benefit from the proposed tradeoff of lower income tax. Remuera households could be paying $6500 each and those on the North Shore $1300-$4000 a year. Financier Mark Hotchin of Hanover could be paying almost $100,000 a year for his three-section block in Paritai Drive, Orakei, and Prime Minister John Key would be up for much the same on his slice of St Stephens Ave in Parnell. Southlanders, living on New Zealand's lowest-price housing land, would be paying just $30 a year for the average section. With Auckland's scarce land supply commanding the country's highest prices, residents would pay comparatively more than other New Zealanders." Kiwis are already paying enough in tax, much more would be unsupportable to the economy. The issue is the mix of tax. If land or gains in land were taxed, other forms of tax could be reduced to compensate. So for most people it would be neutral, or maybe a modest gain. As you indicate, the Hotchins and Keys of this world would be the ones who would lose out the most. Which is why they are so vehemently opposed of course. A land tax also captures unearnt economic rent. Taxing bads would also be a good move. I agree though that other taxes should be reduced accordingly. The biggest miss there is the ridiculously low tax on petrol in NZ. Now that the price of oil is dropping would be great time to increase it. At present, we have one of the lowest prices of petrol in the OECD, which encourages excessive driving & large vehicles. Since the oil is largely imported, it also increases our current account deficit. Its hardly rocket science, so why isn't it on the agenda? We don't have a space programme so we don't have a use for rocket science? India has a space programme ..... so why do countries still donate aid money to them ? Greece pays a lot more tax than NZ on petrol - but is it any better off than us? Some modern 6cylinder cars are more fuel efficient than older 4 cylinder cars. A 6 cylinder car carrying 5 adults over a rural 25km trip to town can be more fuel efficient than an older model smaller cc car loaded with 5 adults going uphill and down dale on the same 25km trip. Probably the only tax the Greeks pay lol !! Regarding the 6-cylinder. So if its efficient, it will pay less tax of course. Your point is ....?? Ah, I took your comment '........excessive driving and large cars' to mean that you see large cars as a negative, which they aren't always. I drive only diesel cars so a higher petrol tax doesn't really worry me too much. ;-) Higher petrol costs just increases the cost of everything, eventually. No, I'm not against large cars as such. Just inefficient ones. Which cost the country overall, & increase the current account deficit. Putting up the price of petrol for cars won't put up the price of "everything" at all. It would put up the price of driving for consumers, but more petrol tax could mean less tax on other things - so neutral overall. Yes, I do live in urban NZ. Rural NZers are keen on the concept of user pays, so they should have no problem with this. At the moment, petrol imports are subsidised by constant increases in the current account deficit. Taxes can drop when other taxes go up. Witness the decrease in PAYE & Company Tax when GST went up. Recent history. One thing that is noticeable is that lifestylers make tracks back to urban areas when the price of petrol goes up to a certain level as they find it too expensive to live in the country and commute to work, in comparison to living in urbania. Rural NZers are keen on the concept of user pays, so they should have no problem with this. The majority of rural dwellers - farm employees/rural contractors/lifestylers etc, and those living in Maori communities would disagree with your comment. My reference to tax drops was only in relation to petrol tax going up. Govt already gets approx half the price of petrol. All the PIIGS petrol tax is higher than ours - it hasn't done them any good. Linking the economic performance or travails of the PIIGs back to their degree of petrol tax is meaningless. There are so many other factors that impact on their economies. So just let it drop. however we have a dis-advantage, we are so dispersed as a nation that private transport is in effcet the only available methos in many areas. For instance in the UK even small villages have buses to get to bigger towns, in NZ many dont. Of course. Since petrol is so artificially cheap, public transport isn't a viable alternative. In European countries, more expensive petrol tend to make it more realistic economically. We have gone down the same car-focused growth & mindset as Australia & the US; there are consequences for that. How can you consider that to be " so artificially cheap " ? Because all one-off finite resources should be priced on the basis that they're finite. If you don't do that, your fiscal regime won't last anyway, so you might as well. Currently only the extractive cost (which reflects the energy expended, to an ironical degree) is counted. That's intergenerationally selfish, and is most commonly defended by denial. Uh no I cant agree.....Govn chooses to make it "expensive" with excise tax....that isnt an economic issue so its actually artifially expensive. Also I think public transport is heavily subsidised in NZ, I think we only pay 60% of its actual cost, so do the math.....for peak hours where a bus is 50%+ full, yes it make sense....probably no where else. eg one thing PhilBest has said and partially I agree with is, it makes no sense to run public transport like we do. We do it with a 7litre+ 50 seat bus with 1 or 2 ppl on it in say an hourly service.....its plain potty...labour costs alone sees that as silly, its a ppl density thing. Say a driver on $15 an hour....those passengers need to be coughing up his pay alone just to break even on labour....let alone the TCO of the bus (buy and maintain) or fuel at 5 or 6 mpg and road user charges....it just cant make economic sense.....ever. Car focused made short term economic sense for 50 years odd, in terms of a person's lifetime if made sense for them. Sure its got lazy in the extreme.....That is drawing to a close, now we need to migrate to an alternative "lifestyle" sure.....hence Hugh P and PhilB are extinct dinosaurs.....their politically driven ideals were dubious and voodoo economics before peak oil, after it are a dangerous and an unsustainable path to tread. Thank you Andrew, finally some one has stated one of the chief merits of a land tax (on unimproved value), which is also why it will be opposed by an axis of vested interests.I despair of this country when even a political party as supposedly forward-looking as the Greens will not have a bar of it. Are they dense, corrupt, or gutless? Perhaps a mixture of all three. Land tax has a long historical and academic pedigree and is a feature of many administrations. The classical 19th century political economists recognised that land is a resource, and that society benefits if that resource is used wisely (not just sat on to gain an unearned increment).For one of the bloggers here to say that residential owner occupied land earns no income is misleading to say the least. Looking purely at OVERT income does not give the full picture. Finally, there is a lot of JUSTICE in a land tax once one recognises that all privately owned land is, in terms of history, stolen from the people as a whole. By all means retain your land, but the least one could do is pay some rent to the community in return for some right to hang on to the land. How would Iwi respond to a land tax on land that earns no income, or would theirs be the first "exemption"
Some big ifs and maybes mind. Leasehold only for non citizens would be a first step - even third world countries often have this control. Large amounts of London have this 'rule' as well. 99 year lease is all you can get. Yep....cook islands has it.....good for them. There is one thing that would put an end to any more residential property bubbles here in NZ and that is to make mortgage interest payments on your second or subsequent property (ies) NOT tax deductible ......OUCH ! I hear all the PI's scream from hear, but if a country is that broke, it has to top up peoples income with Working for Families or "Middle Class Welfare" so they can afford to pay their rent or mortgage, it's a crock of **** ! This money goes back to the bank or landlord (then to the bank) .... so again the banks are the ultimate winners. While to add insult to injury, these profits leave the country ! This government is so scared of property prices falling, even slightly, they will do anything to keep the banks happy. mist42nz ...that is just my point. Of course I know the first thing that would happen is that "shell" or trust co's would be set up. Then the rort could continue ..
My point, if you would read my script more carefully, is that why should taxpayers in general support PI's (then ultimately the banks) through the accomodation supplement and WFF ? I have no issue with increasing CGT or land tax or whatever in order for the government to get more money. However suggesting taxes as a tool to reduce house prices is absurd. Trying to increasing the price of housing so that people can't afford it so it gets cheaper so people can afford it seems a flawed strategy. Bring in a Land tax to bring in Tax from people/corporates who pay nothing now. Reduce the amount taken from PAYE and transaction tax to more resonable levels eg back to 10% for GST. Bascically how a Land tax works is that it means that the cost of ownership is higher so that people will have a disincintive to stop over bidding for property. So instead of paying ever increasing land tax to Oz Banks via loan repayments they pay something to run the country theuy live in. Couldn't agree more on this Bob. Tax was a means of gathering enough revenue to run a government. Today, taxes are being used as a tool to punish people. Lets not forget here that most rental investors aren't major corporations out of China. It is the everyday dad and mum who work their butts out as it is but then get charged so much in taxes that they go hire accounts, lawyers, property managers, solicitors etc and invest in the property market in order to cut down they taxes. Some barely make any profit but hope that in their retirement, they will have some cash flowing in. If it wasn't for these investors, there won't be much rental accomodation in Auckland. The government took away the depreciation part and lots of people sold their residential investments so created more rental shortages. Few seem to understand that it is not investors who drive up prices of houses or rent, it the taxman and council. If the councils looked at their fees, council costs involved in building can go beyond a 100K for simple 4 bedroom house so it isn't the property developers who are making a killing either. Most of them have basically just given up to the greedy councils. Why would anyone want house prices to go down. Councils able to charge higher rates, governments have better control on you when you own something, banks love to keep you mortgaged and you love having a high valued property. The only one out is whose renting and isn't committed enough to do few extra hours and save a deposit and please no one go on the tangent saying you can only save deposit by lower rents, no, just need to work harder. Thats what investors have done in the past. "landlords cut off from this tax break were logically likely to pass the cost on to their tenants"
What an assumption....this assumes that Landlords were not already extracting the maximin sustainable rent already so cannot recover that money....which is far more likely IMHO. "Zealand’s uneducated, unemployable, welfarized and criminalized feral class that is of no use to society and rightly not welcome anywhere else in the world." This is research? or is this now the NBR drivel page? if I wanted to go read that ACT voodoo economics rag its a click away. 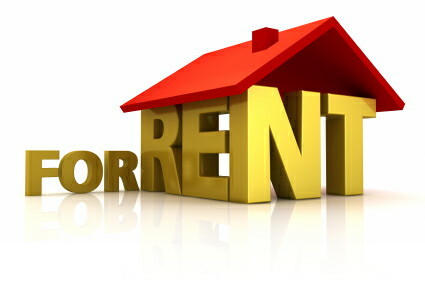 Some Landlords probably do review their rents regularly and push them up as far as they think they can. Many more will leave their tenants alone if the property is wiping its own nose and slowly paying itself off. The second group will react to an adverse cash flow event and seek to push their rentals up to market max to protect themselves. The loss of depreciation claims will have caused some of this and it would have been much more severe if landlords had not had a compensating cost reduction from lower interest rates. If interest rates rise rents are likely to go up with them. The other effect is investors quiting their properties if they are no longer an attractive proposition. That causes a shortage of rentals and higher rents. There is a view held that if rental properties are sold there are less tenants as they are now property owners so rents stay the same. That assumes renters can become owners or indeed would want to. Lots of people on this site think owning property is crazy or immoral . Given the bubble, For me, yes crazy....immoral....not really except if they leave others such as me as a tax payer to pay for their mis-judgements aka Ireland. The housing issue is extremely simple, we have too many powerful interest groups who want high house prices. #1. Home owners want the gravey train to continue and they want capital gains to pay for their retirement. #2. The council wants higher property prices, so they get more rates income. #3. The politicians want higher property prices because they on average own 2.4 houses each. To appear to have the interests of the "poor" or "young" the politicans are talking of a bunch of ideas to increase government involvement in housing to subsidise the industry and "make housing cheaper", these efforts are just smoke and mirrors and typical politics, they will do silly things like offer cheaper loans to home buyers making their payments cheaper and enabling the buyers the ability to pay over all higher prices (the wrong direction). The only solution is also the cheapest solution for governments and councils to solve this lack of cheap housing, It is to simply allow more high density developments by re zoning areas of Auckland and any other area lacking sufficient housing. If this is done these areas will be bought up by developers who will build a variety of unit sizes sufficient for sale to the market. With enough re zoning, and development will force the remaining house prices down, and housing will actually be more affordable. But this won't happen any time soon because of points 1,2,3 above.